Whether you’re an old pro or just starting out your 2012 concert-going, we can’t imagine an opener we’d recommend more highly for the night than The First Times. 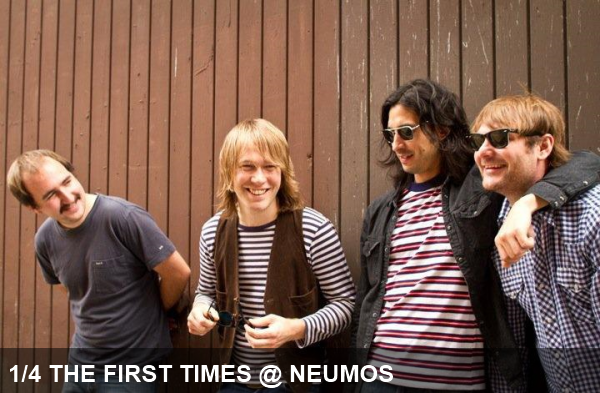 The local group that bonded over the love of pizza, beers and working at a place that sells both, or so the story goes, will be bringing their feel-good power pop to Neumos tonight for the very first time. If you’re in the mood for hook-laden choruses and slick power chords, Neumos is where you’ll want to be tonight. We highly recommend the entire line-up, so get there early and stay till they kindly show you the door. We’ll see you there.